One of the most frequent issues we deal with in high conflict divorce and custody situations is parental alienation. Parental alienation is when one parent attempts (and sometimes succeeds) to poison the minds and the feelings of the children against the other parent in order to win custody and/or destroy the relationship between the targeted parent and children. What is the difference between parental alienation and parental alienation syndrome? What are specific examples of parental alienation? What are the symptoms and signs of parental alienation amongst children? Can you address parental alienation in your home without crossing the line of alienating yourself? How should you document parental alienation for custody evaluators, attorneys, and judges? Plus we’ll be answering callers questions! Our guest for this teleconference topic was Jaynee Beach. Jaynee Beach is a Divorce Coach in Texas since 2007, and has approximately 1,700 individual coaching hours. Her practice is evenly divided between collaborative couples and high-conflict couples. Jaynee is a certified Life Coach, with specialized training in collaborative divorce. 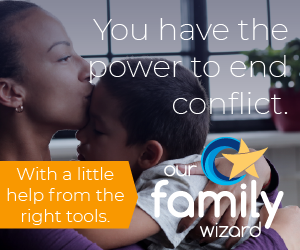 She is a Texas credentialed mediator, and a certified co-parenting coordinator with advanced training in co-parenting in high-conflict divorce. Jaynee Beac has completed 19 collaborations, and has had only 2 couples drop-out of the collaborative process. Jaynee also coaches high-conflict clients who have minor children. Jaynee’s primary objective is to help people get through divorce as gently as possible. Her passion is shielding the children from the collateral damage of divorce. You can register here for just $9.95 and listen to over 3 hours of specific tactics to combat parental alienation in your home. Once you register you will have access to the recording in your member account.